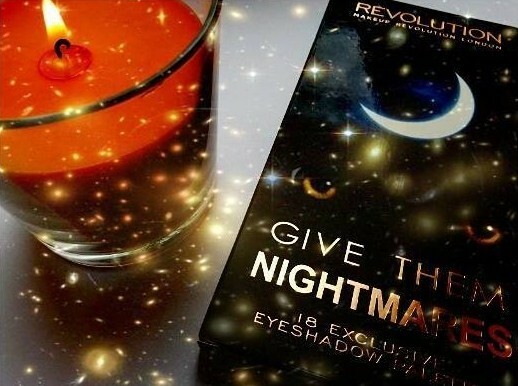 Introducing the newest addition to the Makeup Revolution brand, the Give Them Nightmares palette. 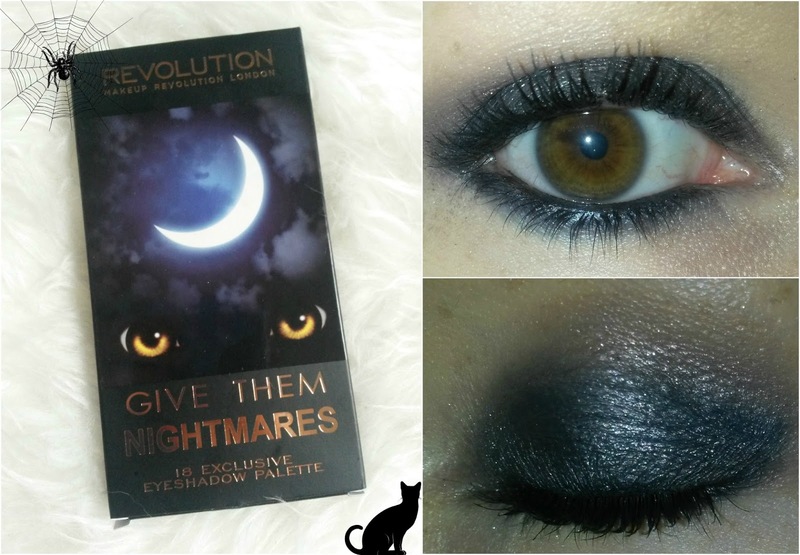 Give them nightmares is an exclusive eyeshadow palette out in time for Halloween. There palettes comes with 16 wearable shades, whether that being for a spooky makeup look or the much desired smokey eye and is available online now for just £6.00. Give them nights is full of so many beautiful shades, mainly based around a few shades in different tones, purples, greys, greens, blues and blacks. 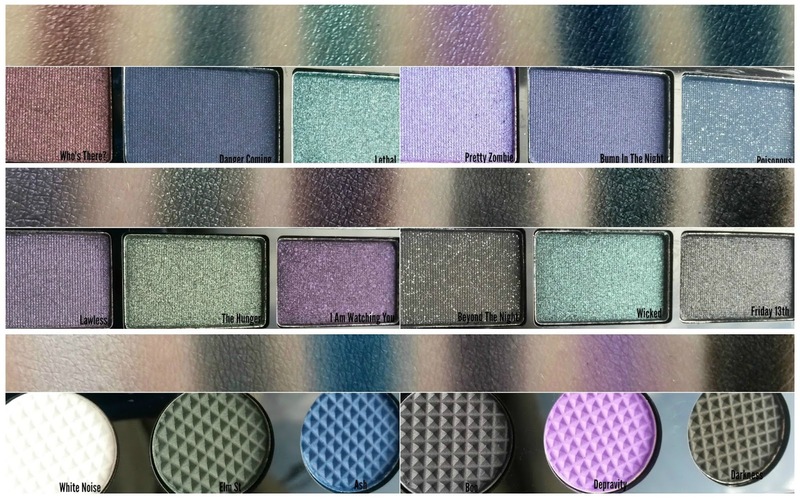 There's gorgeous shimmers (which, I personally love) and mattes. Each are very well pigmented and easy to blend, with great lasting power. Look at these shades though! Aren't they just amazing? I just love that each shade is easy to work with and your able to create a glorious eye look or go all out for Halloween and create a really cool look. I've seen a really great one on instagram. 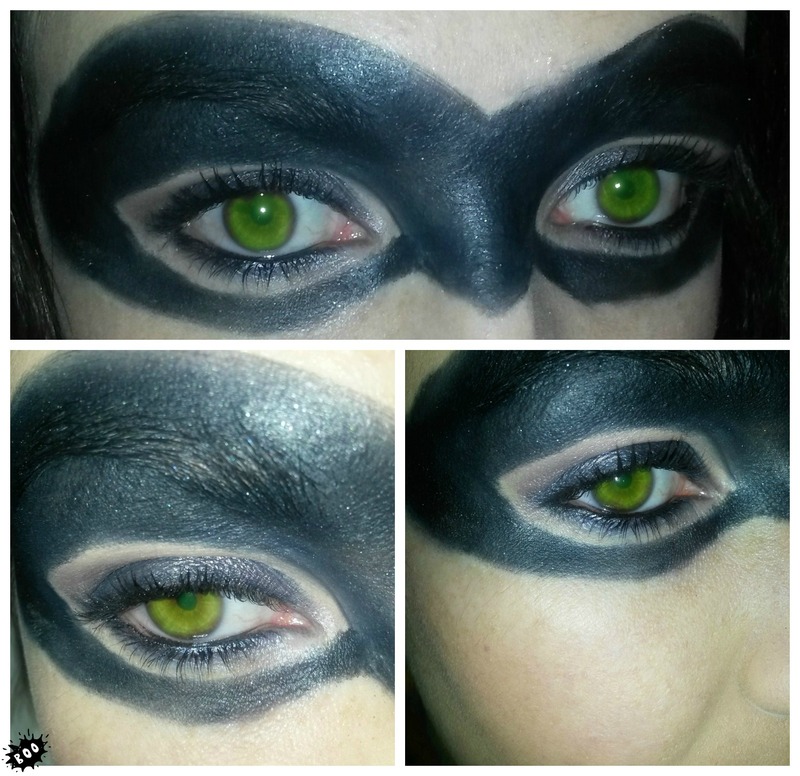 I decided to create my own cat woman look. Just wanting to point out at the same time I'm no makeup artist. This is a small idea of the sorts of looks you can make using the palette. This is super easy to achieve and I hope you have a go doing it yourself if you have the palette. Feel free to tag me on instagram at @ABritishSparkle or on Twitter at the same username so I can take a look. 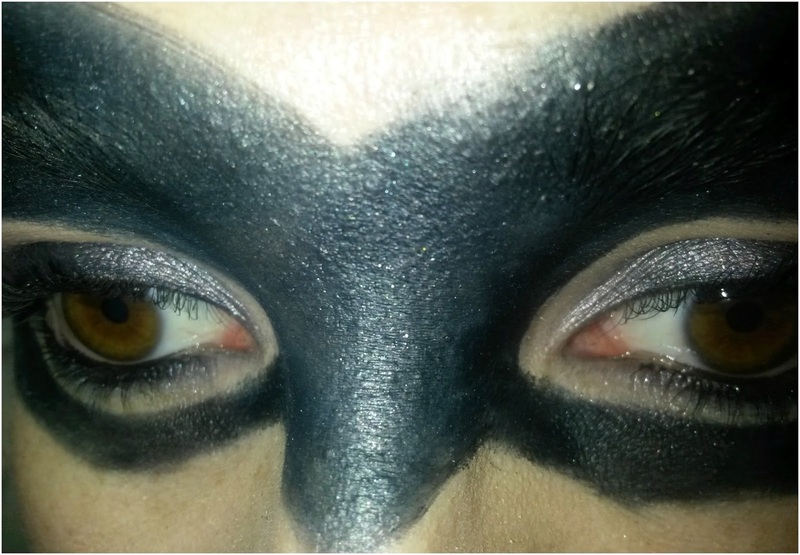 For the cat mask I used Beyond The Night which is the most beautiful shimmery black. Here is an idea of the sorts of looks you can create for either day or night time using this palette. Have you bought this palette yet? What are your thoughts? If not you can purchase it here now. Hey guys, Sorry I haven't done a new post in a few days. I've had the most hectic weekend, rainbow cake making first cake baking (see Instagram). A belated meal for my brothers sixteenth birthday. Suffering flu like symptoms from a sudden change in the weather, cough, headache on and off. Not one to disappoint I've struggled on and done this post for you lovely people. I hope you've had a brilliant weekend? - ill free! I tend to stick to neutral palettes, but how gorgeous are these shades, I'm in love with the matte ones. I'm definitely going to have to get my hands on one of these to do my own halloween looks. What a great little palette. 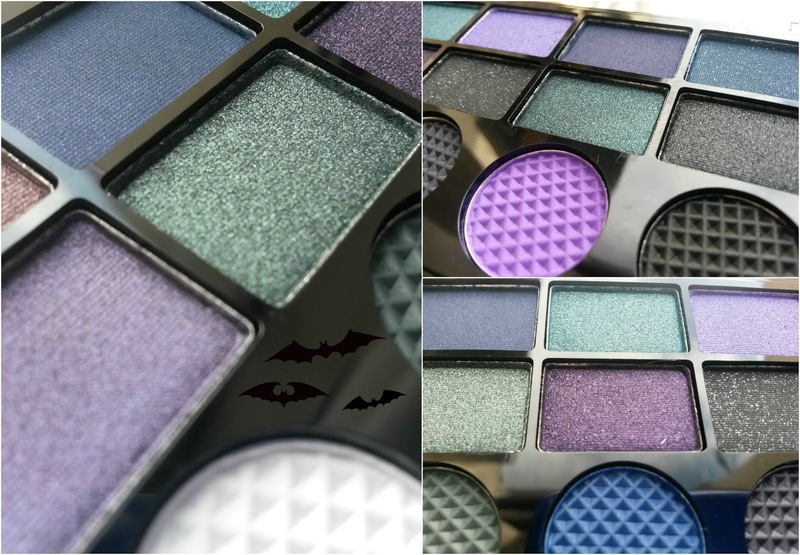 Perfect for halloween but also for a shimmer smokey eye, bargain too. Ooh this is gorgeous. Love the look too. I just need to get a bit braver first! I love the look of this palette the colours look so pretty! A great review! Oh. My. Goodness!!!! I love those colors!